Their first full-length album dropped just about a year ago in New Zealand. Since then, they have played constant live gigs. Tour in UK in Feb/Mar while the album hits the UK. Tour in US/Canada in Apr/May after the full format release. 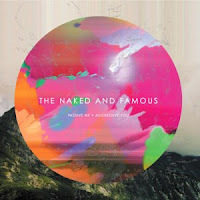 Over the summer, The Naked and Famous hit just about every worldwide festival that existed. Germany's Rock am Ring and Rock im Park festivals, Germany's Melt festival, UK's Glastonbury, Great Escape, Wireless, Reading & Leeds, Latitude, Japan's Fuji Rock Festival, M for Music in Switzerland, Oxegen Festival in Ireland, Lisbon Alive in Portgual, Notodden Schools Out Festival in Norway, T in the Park in Scotland, Northside Festival in Denmark, Pukklepop in Belgium, Lowlands in the Netherlands, and Lollapalooza in Chicago! They weren't finished after that. Throughout August they've been all over North America. I know I plan to see them next Tuesday in Las Vegas immediately after they play Leeds in UK and then a show in France! Throughout September they will be all over Europe. I see no end to this schedule as they come back to North America for October and then to the UK for November! 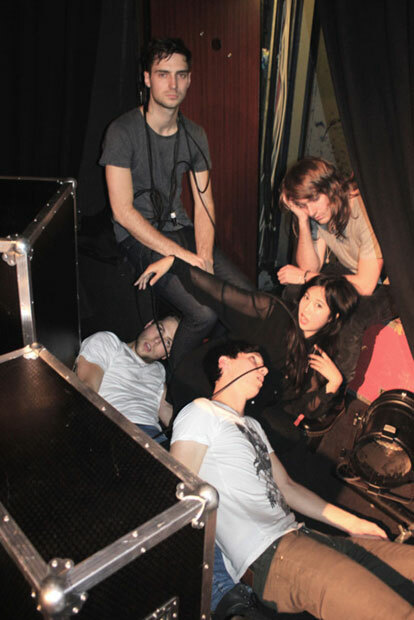 Now that I've exhausted you with this band's crazy tour schedule, let's get to the music! Alisa Xayalith provides backup vox on "Girls Like You" whereas she is the lead singer of this band and on the rest of the 13 tracks on Passive Me, Aggressive You. Before arriving at that final track, "Wolf in Geek's Clothing" and "The Ends" also provide a departure from the normal structure of the songs on the rest of the album, and the entire band seems to come together to perform a kaleidoscope of ehtereal electro sounds. "Young Blood" was the first and most popular release so far from this album, but the bulk of the album is full of share-worthy tracks. The Amazon price is a steal! Get the album now.